But she’s certainly not afraid of attention. 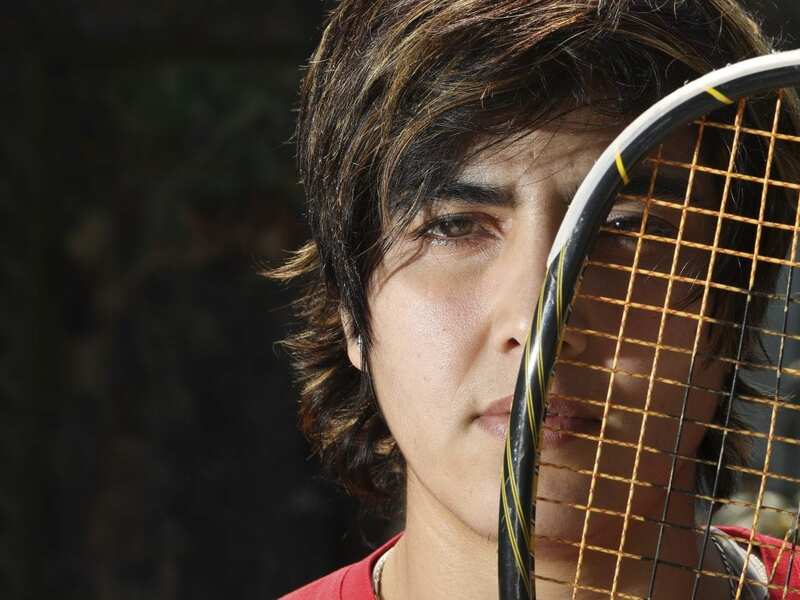 The country’s greatest female squash player is the star of a documentary, The War to Be Her, which debuts on the PBS documentary series POV on July 23. Toorpakai, 27, grew up in Waziristan, a mountainous tribal region that borders Afghanistan — and is a haven to Pakistan’s Taliban. Girls there face grave risks just for attending school. Because she wanted to play sports and pursue other opportunities not open to girls, she burned her dresses, cut her hair and put on her brother’s clothes. Her father introduced her as his son, “Genghis Khan.” And she took up squash. That’s when the Taliban started making threats. To continue training in safety, she reached out to squash academies around the world. Eventually, a former squash champion named Jonathan Power invited her to Canada. She trained there between 2011 and 2016. My dad is my mentor. He is my inspiration. He always helped me even when there were times I was feeling down, disappointed, hopeless. He always showed me the path. That I shouldn’t care about society or people. Because of the Taliban’s threats when you were 16, you spent 2007 to 2010 practicing squash in your bedroom — like “Rocky, locked in Siberia,” your coach in Canada said. What was that like? I stopped playing tournaments and didn’t train. I gained a lot of weight. I was just lost, confused about the whole purpose of my life. This is the country that I was playing for — this is Pakistan. These are the people I was representing. I want to build a state-of-the-art sports science university in Islamabad. And once things are in my hands, I think I’ll be able to encourage more and more girls, and give them an environment [where] they can stay and live and play and learn.